On 29th of March 2014, I wrote about my joining the bitcoin revolution and promised to let you know how my adventure with bitcoin turns out. And I have Sumbo to thank for the timely reminder. Paid one of my monthly installment for my (now discontinued) online MBA program with bitcoin. Some European schools accept bitcoin. What do I now think of bitcoin? Not so much. It fluctuates widely with the dollar and one must be careful in holding it for long. The one for my MBA school fee payment, I held it for just one day and it significantly dropped in value such that I had to mix it with dollars to complete the school fee payment. It is a transaction fee free payment method with no verification/holding period. Once you pay, in seconds to very few minutes your transaction is finalized without any fear of reversal. So you have to be careful that you don't send payment to the wrong bitcoin wallet. There is also a very active bitcoin forex trading community. People who speculate on the exchange rate of bitcoin to dollars. I didn't bother trying that out as I still have the burn marks from the regular forex trading. I have only left money in my bitcoin wallet hoping it will rise in value against the dollar. In Japan, Hong Kong and a couple of asian countries bitcoin is a big deal. 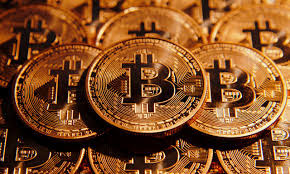 They even offer physical goods and services at physical stores for payment via bitcoin. Overall, my adventure with bitcoin has been more of an excursion. Something, you did because it was new to you and fun to talk about, but not worth making part of your daily life.